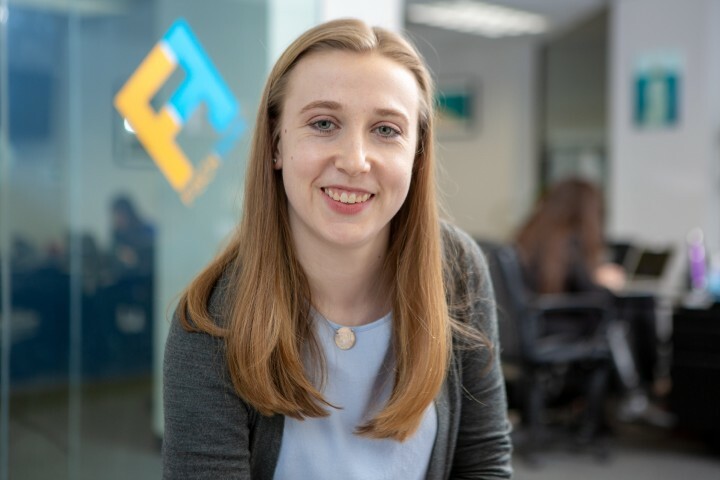 Erin Hadden is an Account Manager at FischTank, working with clients across a variety of industries including renewable energy, healthcare and marketing technologies. Erin also has experience executing media relations and marketing campaigns on behalf of non-profit organizations. Erin takes pride in bringing energy and creativity to every campaign and client initiative she works on. She believes that there are countless ways to tell the story of a company, and how you approach each campaign depends on who you want to tell that story to. A successful public relations strategy doesn’t just take into account the brand’s key message, it caters that message and story angle to fit the most receptive audience. With this ideology in mind, Erin strives every day to bring her clients the most impactful results through media outreach, strategic messaging and social media management. During her time at FischTank, Erin has helped coordinate client placements in top-tier media outlets, local broadcast affiliates and key industry trades including NPR, The Associated Press, CNBC, Fast Company, Greentech Media, The Drive, Fox 29 Philadelphia as well as numerous energy and marketing trades publications. Erin grew up in Wayne, Pennsylvania and earned a Bachelor’s Degree in public relations with a minor in sociology at Hofstra University on Long Island. Outside of the office, Erin enjoys discovering new restaurants and bars with her friends, watching true crime documentaries and rooting for the Philadelphia Eagles (Fly, Eagles, Fly!). If you have a dog, she probably wants to pet it.